Why We Eat Spaceships with Tails - sprouting legumes and grains is worth it! There is only so much time in a day, why on earth is sprouting legumes, grains or seeds a good idea? Let me make myself perfectly clear. Sprouting takes less than 4 minutes of your time from start to finish. That 4 minutes will pay you back exponentially. Exponential improvement in the health of you and your tribe allowing you to live and be your best! A promise about soaking stuff in water first? Yes indeed! Sprouting is something I started doing to help our 15 year old daughter as she battles c diff colitis Remember the Big MAC diet post? Microbiota Accessible Carbohydrates….these are the Big MAC’s we LOVE at our house. I add sprouted legumes to EVERYTHING and in so doing help our daughters gut heal while improving our own health. They aren't just good for her, they are good for all of us! Our uber picky 8 year old almost died and refused to eat the "tail" the first time he saw sprouted lentils added to a burrito. I laughed and told him, "dude, you need to eat the whole spaceship with the tail." Sold. Legumes are packed with the fiber the critters in our intestines (gut microbiome) LOVE to eat. The equation is simple. High fiber foods = food for intestinal bacteria = stronger microbiome. Fiber is what the critters in your gut eat. Well-fed gut critters = happy, healthy gut critters. Check. Fiber keeps you full longer. Check. 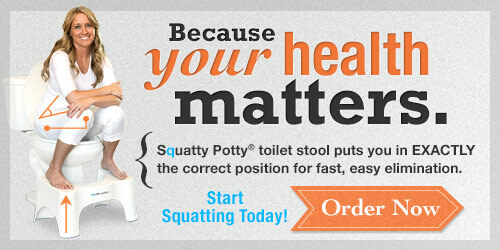 Fiber saves you time sitting on the porcelain throne. Check. Sprouting legumes prior to eating helps make them easier to digest (shhh this means less gas). Check. Cheap plant based protein - 1/2 cup cooked lentils have 8 grams of protein. Double Check. Dry legumes are super cheap. Less than $1 a pound at any grocery store. Last time I was at Costco, organic chicken was about $6 a pound. You have math skills too. Check. Plenty of reasons to want to add legumes, grains and seeds to your diet but sprouting them first? Yes!!! Sprouting – DISCLAIMER… if they smell weird, are slimy or moldy….DO NOT EAT THEM!!!! If you have a mason jar you can do this. Nothing technical, nothing wacky. Complex carbohydrates are broken down into easier to digest carbohydrates = less gas. Sprouting also allows for our body to absorb more nutrients = more vitamins and minerals to help the cells in our body fight and be its strongest. Ever head of alkaline (plant based foods) vs acidic (sugar and heavily processed foods) foods? The more alkaline the better. Guess what, sprouting makes legumes, grains and seeds more alkaline which is SUPER AMAZING for our body!!! If you are still reading, there is a chance you might try sprouting. Seriously it takes nothing fancy. Use your fingers and hand as a colander (or cheese cloth secured with a ring) and drain water. Prop jar on a towel at an angle to allow for drainage and air flow. Place sprouted lentils in a medium saucepan and add water to cover plus an inch or so. Bring to a boil then cover with a lid and simmer for 15-20 min or until tender. Each legume or grain will have a different cooking time BUT it will be faster than a non-sprouted legume or grain. Freeze extra in zip lock baggies, all ready portioned. SALADS, SOUP, CASSEROLES, SCRAMBLED EGGS and add to meat dishes like tacos, shredded bbq. You name it and I will have been accused of adding lentils to it. They are amazing in everything and with everything!!! There is also a really good chance you can get away with them added to brownies and cookies too. Shhhh! Sign up so you don't miss a post. Like, follow, pin or comment - I would love to hear your questions so I know what to do to better help you understand easy, awesome ways to improve your health! Subscribe below so you don't miss a thing! We respect your privacy you information will not be sold or bartered. That is just stupid. October first and officially all things pumpkin spice have bombarded our lives. This recipe is one we have used for a few years and it’s very fitting to share it during pumpkin spice season. Hard to imagine but these pancakes are NOT dense bricks of gut wrenching pain. They are puffy yet filling and undeniably spectacular. Pumpkin (code for squash/veggie) is chock full of antioxidants, phytochemicals and fiber to help you from the inside out. Squashing (hahaha) free radicals and keeping your cells stronger and healthier to help you attack each day the way you see fit. It doesn’t hurt that they have a decent amount of fiber to help keep things moving along the way mother nature intended. Even in the midst of anti-wheat rhetoric we still eat wheat. wheat is a terrible horrible no good very bad thing when it’s heavily processed white flour because it’s usually combined with high fructose corn syrup, artificial colors and no redeeming health benefits – think Fruit Loops. WHOLE grains are amazing as they contain naturally occurring phytonutrients, vitamins and minerals, fiber and healthy fats. Allow for at least an hour for the whole grain to absorb liquid before cooking the pancakes. I have made the batter the night before and the before work in the morning for dinner pancakes and they turn out beautifully. Combine dry ingredients and mix well. Combine all wet ingredients in a separate bowl and blend. Add wet ingredients to dry and mix until everything is evenly incorporated. Let batter rest in the refrigerator to allow the whole grain to absorb. The top of the batter will oxidize a bit (turns brown) just mix it in, it’s no big deal. Thin absorbed batter with additional milk to the consistency you like for pancake batter. Heat your griddle to 300-325 or medium. These babies need to cook low and slow because they are so moist. Cook 3-5 minutes per side. The center will bounce back (like when testing a muffin for doneness) when they are cooked through. If desired, add chocolate chips and pecans or walnuts as they are cooking. Top with butter and real maple syrup. Makes about 24 four inch pancakes per batch. You might wonder how these beauties fare on the picky scale. They are 4 out of 5 at our house, the oldest picky kiddo thought she had been poisoned when presented dinner last night. She had to forage for dinner on her own out of the fridge.